Well, our very first Focal Point is well and truly underway. And we want to invite you to help us explore Diversity and Divergency at a FREE workshop next Tuesday in London. Aran Rees, from Sabre Tooth Panda, and Dave Birss, our humble editor, will be running a two-hour exploration in conjunction with myHRcareers. Together we’ll dive into the concept of difference, the benefits of diverse thinking and how organisations can benefit from diversity more effectively. This is an event for everyone with an interest in diversity, regardless of your job role. Can you be an individual and still be a great team player? How can you create a workplace that has a unique culture without excluding people? What is the true value of diversity and do current solutions focus too much on ticking boxes? If you’re free from 6.30pm to 8.30pm next Tuesday 7th March, we’d love to have you join us. Tickets are free. But they’re limited, so you’ll need to act quickly. 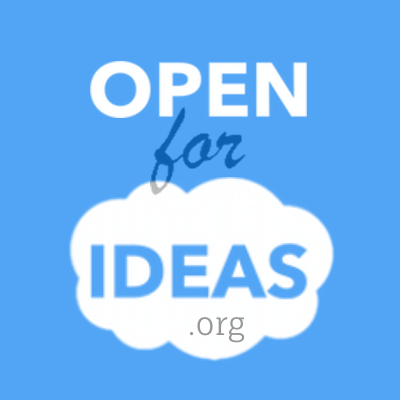 This is the very first Open for Ideas event and we want it to be a good one. Grab a ticket and take part in a little piece of history.